We have already reached the 22nd match of the Indian Premier League 12. All teams apart from Delhi Capitals and Royals Challengers Bangalore, all teams have played five games so far. Today, the Kings XI Punjab and Sunrisers Hyderabad will play the sixth match of the season in Mohali. The news from the centre is that KXIP has won the toss and has opted to bowl. The last time the two teams met in the IPL 2018 in the backyard of the KXIP, Chris Gayle had ripped apart the bowling line-up of the Orange Army. The Universe Boss went on to score a century from 63 balls and they went put up a total of 193 runs. 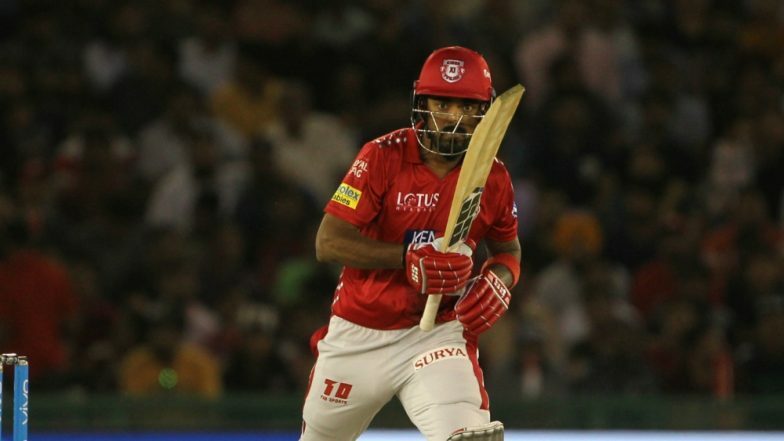 KXIP vs SRH IPL 2019, Mohali Weather & Pitch Report: Here's How the Weather Will Behave for Indian Premier League 12's Match Between Kings XI Punjab and Sunrisers Hyderabad. The Kings XI Punjab had won their last game against the Chennai Super Kings by 22 runs. Where the Mumbai Indians crushed the Orange Army by 40 runs and thus both teams would be looking forward to getting a couple of more points to gain momentum on the IPL 2019 points table. Now let’s have a look at the playing XI of both teams. Sunrisers Hyderabad has made no changes in their side. KXIP has won the toss and elected to bowl first. A couple of changes made in KXIP. You can catch all the live updates of the match by clicking here on our page. Stay tuned for the entertaining match ahead.